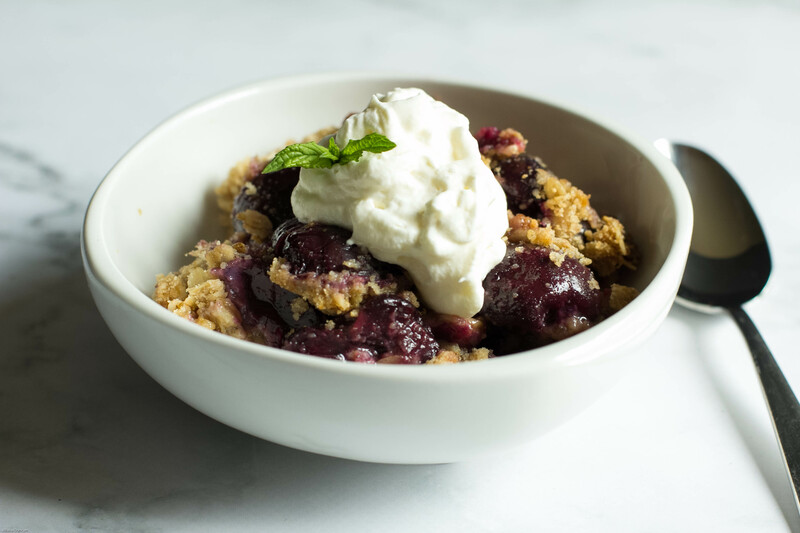 This Sweet Cherry Crisp is paired with a cinnamon oat crumble and topped with almond whipped cream. Bursting with fruit, this easy dessert will be a big hit. 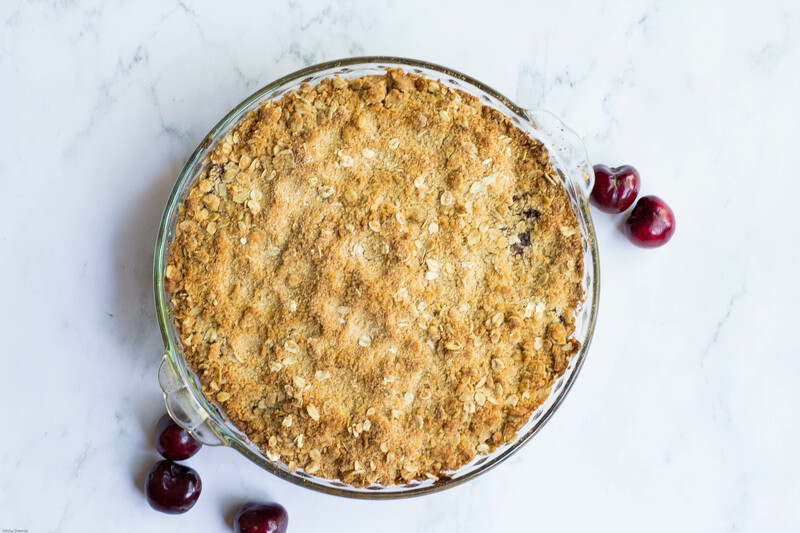 With cherry season ending I decided to use up the last of my BC cherries to make this scrumptious cherry crisp. You could use any fruit really, but cherries are my favorite! Placed pitted cherry halves in a double layer in a Pyrex pie plate. 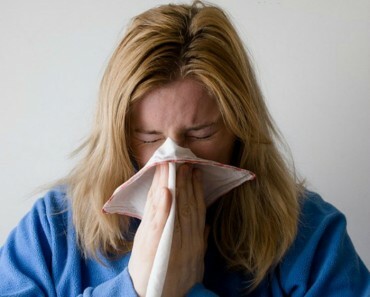 Sprinkle with a pinch of salt and add lemon juice. Combine all the dry ingredients into a bowl and cut in the butter. You want a coarse crumble. Top cherries with cinnamon oat topping and bake in the oven for 25 – 30 minutes, or until the top is golden brown. Add whipping cream to bowl and whip. Add in the sugar and extract and continue to whip until soft peaks form. 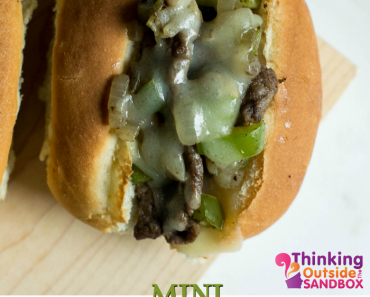 Serve on top of cherry crisp and enjoy! Sweet cherries baked with a cinnamon oat crumble. I couldn’t get enough of this crisp. The cherry are bursting with flavour, and the almond whip cream is the perfect paring. You could serve this with a big scoop of vanilla ice cream and it would be just as good. For another variation, try using fresh peaches, or even blueberries! 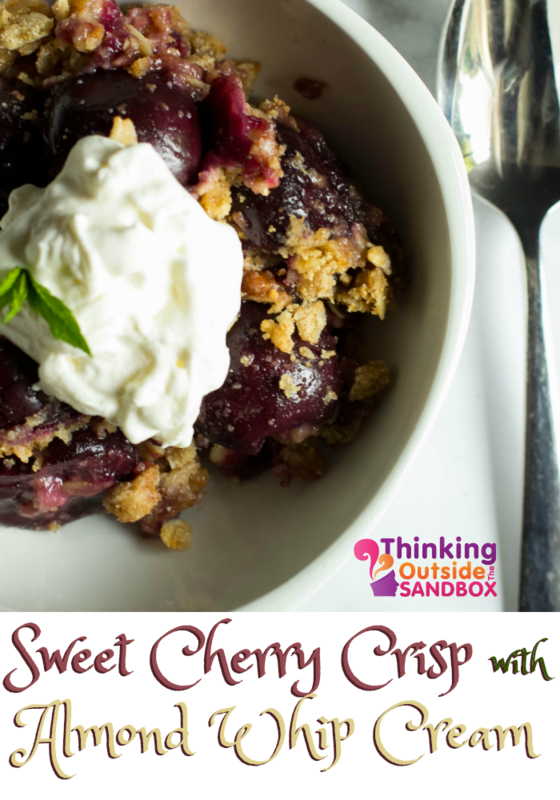 The post Sweet Cherry Crisp Recipe With Almond Whip Cream appeared first on TOTS Family DIY, Recipes, Autism, Kids.